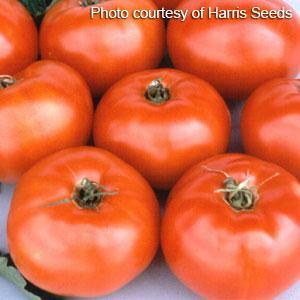 Jetstar is another early tomato that is red, mild-flavored and high yielding. Jetstar tomatoes tend to have fewer scars and cracks than some other varieties. The plants are indeterminate and may do well with or without support but support is recommended. Outstanding Features: Good resistance to Fusarium Wilt and Verticillium Wilt. Click here to buy Jetstar Tomatoes direct from www.buygardenvegetables.com.